Get an Fresno County Traffic Ticket? You Can Beat It! Did You Get a Ticket in Fresno County, California? You can fight Fresno traffic tickets by getting them dismissed much easier than you may think. In Fresno, California, drivers are allowed to contest a traffic ticket using a Trial by Written Declaration. This is best way to fight a traffic ticket without going to an Fresno courthouse or hiring an expensive Fresno traffic ticket lawyer. We have found this to be the best way to contest a California traffic ticket, period. This option is available to every driver who receives a traffic ticket in Fresno, California. In fact, if you turn over your traffic ticket you will see that a Trial by Written Declaration is listed right on the back of your ticket as one way to fight it. This process has been around since 1978 to avoid having to pay traffic ticket fines. TicketBust has been helping California drivers prepare Trial by Written Declaration’s for over 14 years. In fact, tens of thousands of vehicle tickets in California have been contested using our system. We are the original traffic ticket fighter and the TicketBust system has been developed specifically to prepare all your documents properly based on how you answer a few questions. This way you can fight your ticket, knowing you have maximized your chances of having the court dismiss your Fresno County traffic ticket. When you contest a ticket using a Trial by Written Declaration not only don’t you need to go to court, but you don’t even need to take traffic school if the ticket is dismissed. If the ticket is dismissed, no point will appear on your driving record and the bail will be refunded to you in full. If the ticket is not dismissed and you are eligible for traffic school, then you should still be eligible after a Trial by Written Declaration. TicketBust service will prepare your full defense package for you, which includes your Trial by Written Declaration and all the defense documents required by Fresno traffic court. Fill out the yellow form to fight your Fresno traffic ticket now! Did you know that you aren’t allowed to pass the white limit line when you are stopped at an intersection? From our experience, this can be a common ticket issued in the county of Fresno, so be on the lookout and stay behind that solid white line. If you find yourself having received a traffic ticket in Fresno, give us a call or fill out our form to see how we can help! Fresno County was originally the homeland of the Yokuts and Mono Native American tribes. The area was later settled by Spaniards searching for sites for suitable places for missions. Fresno County was formed in 1856 from parts of Mariposa, Merced and Tulare counties. Getting its name from the Spanish word “Fresno” or “ash tree,” the county was recognized for the local ash trees growing along the San Joaquin River. When the Moses Church developed canals for irrigation, which lead to great wheat and wine production. 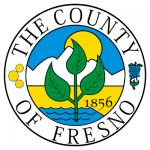 Fresno County is the fifth largest county in area, spanning just less than 6,000 square miles and the tenth most populous county with roughly 989,000 residents. The county is located in the Central Valley of California, south of Stockton and north of Bakersfield. Agriculture is the primary industry in Fresno County contributing more than $5.6 billion to the California economy and 20 percent of the jobs in the Fresno area. The most common crops in the area include Almonds, Grapes, Cotton, and Pistachios. The area is also known for its agricultural tours, including tours of the Aspen Acres ranch, Hillcrest Tree Farm, and the Organic Pastures Dairy Company, which is California’s first certified organic, pasture-grazed raw milk dairy company.